Of course when you purchase a home, you know going in that you will be getting an appraisal for the home. Why? Because it tells you the fair market value of the home you are purchasing so you pay a fair price. Sounds like a good idea right? So when a survey is brought up, why do so many home buyers pass on the chance to survey the land before purchasing? In some cases it may not be needed, however, you may find that in a lot of cases it could be a very good idea to get a survey, especially if you are thinking of ever adding on to the home. First of all, a survey of land is the measurement of boundaries, that includes a written description of the property and tells you the size of your lot. Sounds pretty simple and basic right? However, there is much more important information a survey on your land will tell you. For example, did you know the city often times, while neighborhoods are being built, will run water lines under the properties? Say a water line runs close to the back of your home, and you go want to add a sunroom to the back of your home. When you show up at the courthouse to buy a permit for your new addition you will be surprised to find you cannot build because a city water line runs underground right behind your house. There go your dreams of quietly reading and relaxing in the sunroom or swimming in your new pool. 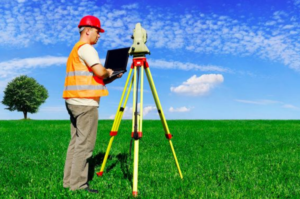 So while a land survey may seem like just another annoying cost added to the price of home buying, consider all of the following things a survey can provide for you and give it a second thought. If you are making the largest investment of your life, why not take one extra step to know everything about your new land?